Are you still running Windows 7? And if so, are you ready for its official end early next year? Here’s why I think moving to Windows 10 now is wiser than sticking with an OS that will become more and more unsecure. Susan Bradley takes a look at the risks of continuing beyond Jan. 14, 2020, with everybody’s favorite operating system. Well, almost everybody’s. In the new AskWoody Plus Newsletter issue 16.5.0 – out this morning. This topic contains 158 replies, has 47 voices, and was last updated by anonymous 1 month ago. I haven’t patched my computer since 2016, remind me again why I need to “upgrade” to an OS that takes the control away from me and gives it to Microsoft? Here’s my recommendation: If you really have to switch from Windows 7 or 8.1 for the sake of security, switch to Linux. Windows 10 is a dangerous platform and the future of privacy and control is at stake here, recommending Windows 10 to this many people because of “security” is not making things easier. Total of 21 users thanked author for this post. Here are last 20 listed. Just wanted to gently remind that Extended support of Windows 8.1 ends in January 2023, three years after Windows 7 does. IMO, if you’re using 8.1 and don’t want 10, just stay with 8.1. If you’re using 7 and don’t want to move to 10, then either stay with 7 if you accept the support limitations, or if you have or can get a legitimate 8.1 product key, move to 8.1 and avoid 10 for another three years. Same here, we moved to RHEL solution for workstations because security issues in win10, only old machines with win7 exist. My dream come true, we’ll totally moved out MS platform. Telling Windows 7 users to “get over it” is a nice way of marginalizing them and detracts from the civility of the discussion. 17 users thanked author for this post. Indeed. And so is the “Just move to Linux!” argument that’s often thrown into the air like fairy dust. There are many reasons why users can’t move to Linux and good reasons why it’s best to avoid Windows 10 and stay on Windows 7. There’s never an easy answer, no one-size-fits-all response that addresses everybody’s concerns, situations, and needs. 20 users thanked author for this post. Patch Lady, you should realize that your recommendations may be very appropriate for the enterprise and corporate world, but has little relevance for the typical mom/pop home user. Windows 7 and even older OS’s deliver more than adequate usefulness to this type of user. As long as they take antivirus software seriously and use a modern browser like Chrome. I have a client stable of 130 Win7 machines that have been running extremely well and problem free for the last 20 months without ever allowing Microsoft to touch them. In fact, my support work has fallen off by probably 3/4 in that time. These machines are just on and off on demand and provide all of the services they need and want. None of them are putting up with the nonsense of defective, disruptive and useless “updating” by MS. I emphasize, that is 20 months on 130 machines (2600 machine months) without ever so much of as a hint of infection or hacking. While Ms. Bradley is fully capable of defending her position I feel compelled to make a few points. In today’s environment anti-virus software and Chrome are not enough protection when there are router and peripheral vulnerabilities reported regularly. Outside access to your networks is not entirely dependent on Windows vulnerabilities. Not to mention that most problems result from between the keyboard and chair. In my experience, most home users do not have a tech support person of your background. If they are lucky they have a friend or relative who will do no harm. Most users do not know how to disable automatic updates and probably should not. The Windows 10 users who I interact with have had no problems with updates. Their environment is much like you describe – on and off demand doing whatever their normal activity is. What happens when one of your users buys new hardware that is not supported on Windows 7? What happens when the a/v vendor no longer supports Win7? I’m glad that your users have had no hacking or infections. I hope it continues as their hardware and software continue to age. More so Mom and Pop. That’s why I wrote it. Because Enterprises have someone to do risk analysis. My Dad does not. So right after tax season he’s getting upgraded to 10. I’m not letting him stay on an operating system that doesn’t get updates, that browsers will be out of date. Hello CT, I always use your experience when arguing about updating and viral control. While I do feel an OS should be updated to fix bugs and keep the back doors closed, I do not believe the world will end when an OS is no longer supported. I also do not believe the phrase, “I will get a virus because YOU won’t update to a newer updating OS”. From what I have seen and heard, and your relayed experiences of 20 months, the viruses are propagated by the end user … uhhhmm let’s say to be nice, “not thinking” gets an email from someone they don’t know, with an attachment and goes, “I do not know who this is, I see an attachment they sent, maybe it is important, let me open it to see what it is, BANG! They have a virus. Or this standard one, “I got a UPS delivery failure email. I did not purchase anything using UPS delivery, I do not know what is is about. It has an attachment (or web link), let me open it. BANG! They have a virus. If people think about the emails they receive and the attachments with them, and investigate, many viral infections could be avoided. If a good web browser is used, good antivirus and antispyware is used, ad blockers to stop malvertizing (sites people like can be whitelisted), using at least one or several of the following will help protect you; spybot S&D, spywareblaster, Ublock origin, Ghostery or a HOSTS file. FYI, those 130 machines are used by very typical non-computer people. They make lots of mistakes. What is amazing to me is how well Bitdefender antivirus + protects them. That is not the Security package. Just the Antivirus package. I should add, as am one of those, that Win 10’s very fast cadence of “upgrades” is also not very convenient for those of us who, individually and because it is so convenient, often use our own computers to do some of our work, including the jobs that pay our rents. In my case, in scientific research and for developing and testing techniques for getting information out of measurements taken with instruments flown on airplanes and carried on board satellites. Also people who do administrative work for small businesses and very small enterprises that do not qualify for “Enterprise.” Even Apple’s annual cadence of its macOS (but with three years of support for each new version) is already something of a worry, but not nearly as much as in the case of Windows 10. Canadian Tech: After Win7 EOL, my heart says to go with Linux; my mind tells me to use the Win 8 upgrade which came with my 4-year old Win 7 PC. (Also, for first time, have just read today 3/21/2019 your post 323878 as to keeping with Win 7; you gave me something to think about!) Have been researching this board to come up with shortcuts/tips/etc. to speed the Win 8 and then 8.1 install/update process. I do not find an article by you for Win 8/8.1, similar to your Win 7 work. Do you have such a critter on this board; or can you supply a link for a similar one of yours on Net genlly? Sincere *thanks* for the able help I’ve seen in your many other posts I’ve read! So why are Microsoft offering ‘extended support’ to Enterprise versions of Windows 7 beyond January 2020? Or is it that the Business Enterprise knows it has to pay to keep THEIR systems under THEIR control, whereas the alternative is for marketshare figures, AI control, security [cough] with a view to the eventual loss of talented admins? Businesses and Enterprises which have medium to large user bases are much more likely to roll out standard machine images which are controlled by use of group policy. That does not change with Win10. Win10 machines can be under IT control if that is desired. Microsoft has offered extended support because it knows that no matter what is published and no matter how far ahead of time this deadline has been known that Enterprise users tend to take much longer to migrate than smaller businesses and home users. The theories about nefarious reasons are unfounded. Look at how long support is for other OSes compared to Windows. Is Microsoft concerned about market share and its own long term health? Absolutely YES. But are they also concerned about the health and stability of their customer’s computing environment? Absolutely YES. But are they also concerned about the health and stability of their customer’s computing environment? Absolutely YES. It isn’t healthy for my computer to be sending telemetry… HIPPA requirements are good, but my personal computer needs to be more private than HIPPA, not less. HIPPA only covers medical, not all the other stuff that comprises my life, and only extends to providers… Where/how does W10 provide that option for me? Privacy is a real expectation and need that is completely and utterly violated by W10. It isn’t an ignored need… it is actively undermined and destroyed. Stability? I have an ever increasing hand tremor that needs a sense of humor and patience to manage. Add brain fog and memory issues… and the best adaptive feature Microsoft could give me is to NOT CHANGE my operating system settings, features, and how I have it arranged… anything new is difficult for me. Not irritating… Difficult to point of not being able to continue… and I don’t want to loose what I have… that works… Where is any of the stability I have to have in W10? It isn’t that it could be configured to work for me once.. but that it isn’t possible to continue with that configuration. Baby boomers are aging into memory problems in huge numbers, and didn’t grow up with tech at their fingertips… and need a stable operating system that just doesn’t exist in W10. These aren’t technical problems with the operating system. The real problem is that Microsoft management has decided for me what I can purchase/use as a home personal operating system/computer, no matter what I, and millions of other people need. That isn’t caring about me, as a customer… and feeding me into the beta testing maul is beyond not caring… it is the very definition of anti-social, using others for their own needs. 11 users thanked author for this post. “If they cared, I, my family, and my friends wouldn’t be facing that dramatic a decision…” Just so. At this point in my life, I am at war with those who would fritter away my remaining years with squirrel-running-on-a-treadmill stuff, for whatever purposes they have. Hopefully I have enough years time to accomplish something of my own choosing, something real. Hence my growing insistence on a stable, useful, productive, operating system as opposed to spending my days dealing with change for the sake of change. Microfix #323904 : I think this paid extension of coverage for Win 7 may be mainly meant to assist those companies that have not yet got their acts together and switched already 100% to Windows 10 by Win 7 EoL. The fact that the price is supposed to go up if the extension is renewed, suggests that MS is not counting on those many customers asking for such extensions, when the first-time subscriptions run out, so offering those extension renewals should be a losing proposition if the price were kept constant. As an individual who has stated that the “privacy issues” implied for users in the W10 EULA was a deal breaker for me and others concerned with the unmanageable ramifications of MS using the OS as a ‘adserver’ platform, the argument to move to W10 for security reasons rings a tad peculiar. I presume the message is that users should just trust MS with the security of personal data when MS has consistently been ambiguous about the data the OS is collecting and for what purposes and with what parties it is shared as part of its monetization strategy. The questionable free wheeling tactics the MS and others are employing is now under greater scrutiny as antitrust policy evolves for the digital age. Germany’s Federal Cartel Office has just ruled that Facebook was abusing customers by using its market power to force customers to agree to open-ended data collection and tracking as a condition for having an account. The theory for this ruling is that Facebook’s market dominance allows them to force users to consent to terms of service that they otherwise would not agree to if competitive choice were available. Therefore, user consent is illusory and not secured in a manner where the consent is merely a fiction. Anyone who has read the W10 EULA recently would realized that you would only require a name change to apply this ruling to W10. Actually, I might argue the customer abuse is greater because MS is still charging a licensing fee for W10. I am not arguing that users should stay with W7 but if W8.1 is an option it may be preferable to W10. My comments regarding W10 are directed to non-enterprise versions as they have policy prerogatives denied to home and small business customers. Windows 10 collects information so the product will work better for you. You are in control with the ability to determine what information is collected. We collect a limited amount of information to help us provide a secure and reliable experience. This includes data like an anonymous device ID, device type, and application crash data which Microsoft and our developer partners use to continuously improve application reliability. This doesn’t include any of your content or files, and we take several steps to avoid collecting any information that directly identifies you, such as your name, email address or account ID. Unlike some other platforms, no matter what privacy options you choose, neither Windows 10 nor any other Microsoft software scans the content of your email or other communications, or your files, in order to deliver targeted advertising to you. Anyone who has read the W10 EULA recently would realized that you would only require a name change to apply this ruling to W10. Actually, I might argue the customer abuse is greater because MS is still charging a licensing fee for W10. I am not arguing that users should stay with W7 but if W8.1 is an option it may be preferable to W10. 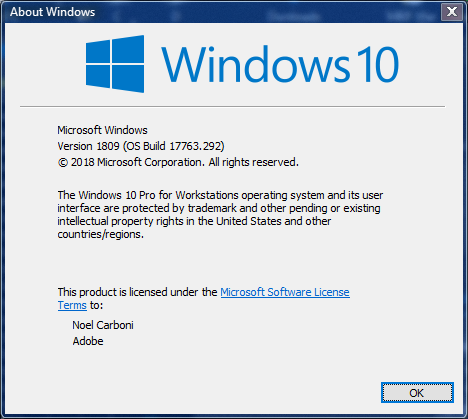 How does the Windows 8.1 EULA differ from the Windows 10 EULA in terms of privacy? My comments regarding W10 are directed to non-enterprise versions as they have policy prerogatives denied to home and small business customers. As the saying goes, “trust but verify.” Oh, wait–Microsoft’s promises cannot be verified, much less enforced. And trust went out the window with their antics over the last couple of years. Sweet. Where’s the button for absolutely nothing? Not the content of my local searches, not the URLs for any sites I visit, not any information about the system configuration, not what apps I run, not when my PC may have crashed or bluescreened, not when any apps crash, not when the system becomes unresponsive, not when Defender has detected what it believes to be malware… none of it. Where is the button to fully turn off telemetry, even including that which MS calls their “security” level? Guess I wasn’t really as in control as they said. The thing is, I actually believe Microsoft when they say the data they collect is just for product improvement. It’s just that (a) their view of what constitutes an improved product and mine may differ (after all, in their view, Windows 10 is the best Windows ever, while in my view, it’s the only one I’ve encountered since 3.0 that is so bad that I’d leave the Windows platform before using it, even for free), and (2) I’m not about to be conscripted into the beta testing army because MS thought I’d be cheaper than someone who they had to pay to test the software. They’re using the telemetry and the forced updates to try to get users to beta test whatever version of the software they want tested, and that’s just not an acceptable substitute for me getting a fully-tested product over which I have complete control. I don’t doubt that at some point, MS may alter the deal. They’re still playing nice, trying to entice the remainder of Windows users over to Windows 10. That won’t always be the case. Susan has a good point about the differences and time it takes to update a clean install of Windows 10 vs Windows 7. Millions of us home users will not switch. MS will have to continue security patches for critical issues. Like XP before it, they won’t. We don’t have huge wormy issues. We have silent attackers these days that wiggle in quietly through browsers. Except that with the critical security situation surrounding the WannaCry malware threat, MS did indeed include XP in their patching, some 3 years after the end of life support for XP. They are likely to come under increased political and journalistic pressure to do that with Windows 7 if it continues to maintain a high market share. What sort of revenue threat will Windows 7 holdouts pose to Microsoft? Help me see what you’re seeing. MS will have to continue security patches for critical issues. They don’t have to do anything. They could cut support today and say that it’s no longer cost effective, and what’s your recourse? A class action lawsuit that nets you maybe $5 in the end that MS writes off? Come on now. They don’t have to do anything. They’re doing 7 users a favor by continuing to support the product in extended support, but they don’t have to do so. There is nothing legally binding them to have to do anything at this point. They’re bound by the EULA to support Windows 7 until the support period ends as much as any user of Windows is bound by the EULA to do anything. They’re not breaking a law if they decide not to, unless you can prove that was the plan all along (which constitutes fraud), but it’s a heck of a civil matter. Since the 80’s my small consulting company has been servicing a mix of clients from differing industries with user counts between 1-100. As a conscientious consultant I find myself having difficulty for the first time advising my customers on what to buy and deploy. Windows 10 Home shouldn’t be used by anyone, period. Nobody should be an Obligated Involuntary Beta Tester. That leaves Windows 10 Pro as the starting point. My user base is similar to Canadian Tech’s in that it is mostly still Win 7 Pro with updates disabled and systems patched thru mid 2017 level. Guess what – no problems at all other than hardware failures. And in my entire career, I’ve never seen or heard of a single computer compromised by a supposed patch failure. I have seen countless computers damaged by Windows Updates though. My intrepid Win 10 Pro users… Not so good. 2 complete failures when Win 10 decided to upgrade or fix their computers and wipe the data off their drives (except for a lone windows.bak directory), several folks I get to see every few months to repair their computers when their desktops reset and the icons and settings disappear, graphics drivers crash and the PC won’t start, key devices no longer connect, complete programs seem to disappear, and other such annoyances. These are the same users that had no issues while using Win 7. I’m also thrilled by the phone calls about machines that won’t shut down or start up, only to find that they are in the middle of some kind of update that takes forever. Or that the user got interrupted by a restart while they were in the middle of something. Admittedly, this was a Win 7 issue too until we started disabling Windows Update. My corporate customers were not thrilled to see that Microsoft would use their Bandwidth and computer resources to redistribute updates unless we turned that off (sort of). They also have no need for Cortana – both the actual absurdity of speaking to your computer in a work environment, and the tenacity to embed a clandestine data extraction program into the operating system that can’t be turned off. And why shouldn’t the LTSB version of Win 10 not be the standard? No Edge and no Cortana… Sure sounds like the version everyone is asking for. And finally, why should my clients needing to be HIPAA compliant upgrade to Win 10 Pro from Win 7 when Microsoft has already said only Win 10 Enterprise can be made HIPAA compliant? Don’t you need about 50 users before Enterprise even begins to make sense pricing wise? No small office will go the Enterprise route for 5 users. Argh! No valid answer if I want to properly service my customers. Of course I could just say to h*** with it and sell what’s available. 19 users thanked author for this post. An unpatched 7 certainly won’t be HIPAA compliant. IMHO this: https://cloudblogs.microsoft.com/industry-blog/health/2017/12/21/hipaa-compliance-with-microsoft-windows-10-enterprise/ is marketing. The PII that goes out the door in Windows 7 and Office is just as prevalent. As I interact with Doctors that use gmail and yahoo accounts, no disrespect intended, but no one is really truly “HIPAA” compliant in reality. I agree if you mean nobody can be HIPAA compliant from a reality standpoint. It is truly just not possible. The mere idea of “security” is a placebo at best. But, HIPAA compliance really has nothing to do with being secure (in reality). You can be secured to unheard of levels and not meet HIPAA compliance simply because you failed to follow the “procedure”. Meanwhile, non-secure environments that have followed the letter of the law procedurally can meet a HIPAA complaince audit and come out smelling like roses. Leave it to a government agency to come up with a regulatory requirement that gives no proper direction and was likely written by people who know the buzz words but nothing more. And I was not implying that Win 7 would be HIPAA compliant (obviously it won’t be according to flawed reasoning that states that any EOL product, regardless of how it is used, is not compliant simply because no further updates will be available), but simply that Win 10 Pro has already been said to be non-complaint. So why make that switch? Most of the doctor apps I see are either app based or cloud based. The operating system by itself (unless you are dealing with Office) doesn’t – in my experience of tracking diagnostics sent to Windows — doesn’t have patient info of enough to be able to be identified. In my personal opinion, that white paper is marketing for Enterprise, not a clear statement that Pro is non compliant. For HIPAA, upgrading to Win 10 is only half the battle. Sometimes terrible management can easily undo whatever security improvements Win 10 may have brought. At my state government department for Medicaid, we have Win 10. But the foolish sysadmins left I.E. 11 as the default browser, with Flash and Java set to run in the Internet Zone, ActiveX plug-ins set to run on all sites, and ActiveX filtering is not enabled. I’d say 95% of the employees don’t know enough to change the dangerous I.E. 11 settings. Flash/Java are kept patched, but it only takes one zero-day vulnerability for malware to get through. In this respect, the front door is locked, but the windows are wide open. I am glad to see someone with experience bring up the HIPAA problem. It isn’t just medicine. Other types of U.S. businesses face regulatory requirements to ensure that data remains under their control. Some fall under regulations aimed at financial and accounting data, others deal with regs that require them to have a plan to ensure that customer data does not fall into the hands of terrorists. And there are others. If Microsoft has finally fessed up that Windows 10 versions other than Enterprise cannot comply with HIPAA, that’s progress of a sort, but what about the millions of businesses, charities, and government entities that are too small to use it–and does Enterprise meet the requirements of the other regulations like HIPAA? I challenge anyone running a trucking company or railroad (large or small) to tell the federal inspector that it’s OK that Windows 10 shares data with Microsoft and unknown others because “that’s the way it is” and “nobody complies.” That kind of answer will get you, the manager, large personal fines for each day that the company is in violation. And let’s not forget: “Classified” and “Sensitive but Unclassified”, “Non-disclosure Agreement”, “Personal identifiable information”, etc., etc., etc. The “Cloud”, it just occurs to me, may not be the best place to work on those things or keep them there. Particularly if one does not want to face court action — and who knows what else. You can and should get ENT for clients that require HIPAA. And you can now get them in blocks of five seats . . . but that discussion is very much outside the purview of what most of this forums users need. But I deeply sympathize . . . many of your observations about the stability of Window 10 Pro during patch cycles are well received by myself. About the only thing that has kept me sane in regards to larger organizations and Win10 is our use of WSUS and hacking it’s update schedule. i.e. we don’t let WSUS check nightly for updates – but instead on Friday nights via a schedule task. And to achieve this non-zero ability to leak HIPPA covered information, there are several pages for listing just one sample configuration set. Whereas W10 Enterprise can be configured to near zero emissions of data, I predict that with the complexity of reaching near zero, not none, it is likely that Microsoft will blame the victim/customer if there is any actual leakage. And if W10 Enterprise can only approximate near zero leakage in the very best possible configuration… and that is the best that Microsoft can offer… what hope do the rest of us have? And… that is information that should be, by default, private on all operating systems… What good does it do me if the hospital, insurance and other providers protect the data, if it can’t be protected on my own computer… HIPPA is to protect them from liability, not actually protect real people. We should be/have to be protecting ourselves… and the only way I can see doing that when Windows 7 and 8.1 reach end of life, is by leaving Windows and and Microsoft… not deciding it doesn’t matter and continue to allow the massive sheeple data harvesting. Note, I’m assuming here that the article states Win10 is the faster of the two, since I cannot access the article at the moment, but it seems a fair assumption given the topic of the article. But really.. I want to say that claiming “Windows 10 can reinstall and update in a fraction of the time taken by Windows 7” is faintly damning praise by omission. It had better be a lot faster, because you’re probably going to be doing it a whole lot more. Considering the vast majority of Win10 support tickets I’ve read end in “I had to do a clean install of Windows”, and a clean install seems to be the go-to solution for pretty much everything from boot failures to a broken desktop background, there’s no way it could survive as an OS if it wasn’t much faster to reinstall and update at the drop of a hat. I don’t think any problem I’ve ever had with Windows 7 was so bad that it needed a complete reinstall of the OS to fix. I can do a clean install of Windows 10 on a pc with an SSD and update it in 15 – 20 minutes. Including older computers. Windows 7 will have a whole long list of updates and numerous reboots in order to get it up to date. The update process has changed quite a bit from Windows 7 as opposed to Windows 10. Before the advent of Windows 10 the patching process was a lot more reliable. I think the big problem people run into with upgrading to Windows 10 is they install a relatively new version which is bug ridden. And if they install an older version of Windows 10 and then “check for updates” to get it updated they may get updated to a newer version of Windows 10 with all the new maladies that come with it. Just as a version of 10 becomes relatively stable Microsoft abandons the version for a newer bug ridden version. The update process is broken in Windows 10 which certainly justifies people’s concern about updating. A lot of this is because they decided to end service packs after 7 SP1. You can still make your own “SP2,” so to speak, by slipstreaming, but it won’t save you any time if you’re only working on one or two machines (it will take at least as long to build it as it would save you). I never was able to get my VM into which I installed 1507 updated. It kept trying to install 1803 over and over, and each time it would fail. Intermediate versions that may have worked, and from there the upgrade to 1803 may have worked, were not available. It just kept downloading 1803, installing it for an hour, failing, uninstalling it for an hour, then repeating it all later. Short of getting a copy of an installer for n, where 1503 < n < 1803, which could only be procured from someone other than MS, I couldn’t make the upgrade work using any of the stuff I read on the MS site and other places that a casual Windows user was likely to look. None of the MS troubleshooter/upgrade assistant programs worked. The point of this exercise was to see if I could get it done with what a regular user would know how to do, and it didn’t work. Installing cleanly or using the intermediate version are things that a regular user wouldn’t be likely to do (it would have been nice if the MS updater would have tried the intermediate method on its own), so I didn’t try them. I know installing cleanly would have done it, but that’s not what it was about. I lost interest in pursuing it after a while. Doing it all in one big chunk is fine if it works, but stories of it not working aren’t unheard of. If any one bit fails, the whole thing fails! It’s hugely faster. I just built a Windows server 2008 R2 over the weekend for testing purposes and it’s still getting updates. I’m at 28 hours and counting. I’m done in about 30 minutes with Windows 2016. Win 7: Fresh traditional install of Win 7 plus patching on a SSD based workstation, with fast internet takes about an entire day, many many reboots and often troubleshooting for failed patches. Also the driver hunt . . . Win 10 1803 *and 1709*: About an hour including patching. Server 2012 R2: About three hours. Server 2016: About an hour including patching. … and takes how long? In most cases if you start with a disk (or USB) with SP1), all of the updates needed for Windows 7 OS are presented and installed in the first offering. That process takes maybe an hour or two. MS Office, if installed may take 2 or 3 rounds of updates. I just did one last week and there is one on my desk at this moment that I am working on. For some of us, who install a new OS once in a blue moon, the speed of installation is not a real issue. Now, if being forced to keep installing it, let’s say, purely for argument’s sake, every month, then speed would be very important, — but again, for some of us, just not worth the bother. MS has made its choice, so must now we. To some of us, sailing in our small boats the choppy seas of information, other not-too-distant shores now beacon. And thanks for all the good times, MS! Group B, Windows 7, SP1, x64. That’s anecdotal evidence, you’ll see complaints about every OS (including yes even 7) depending on where you look. I started running 10 full time more than a year ago starting with 1703 and I’ve had 0 issues on 1703, 1709, and now 1803. No warranty implied, YMMV. I think you’d find plenty of Win10 users who would say the same thing. Having used 10 this long, 7 seems archaic by comparison now. I would not want to be stuck on 7 at this point in time. 10 takes a little tweaking (and I do mean A LITTLE; no more or less than I’ve done in the past with 7 & 8.1) but once done, it generally stays out of the way and causes no problems. When in doubt, make sure you have a backup of your system (and that goes for any OS). Win 7: Click Start button, select Devices and Printers, right click the printer you want as the default and select “Set as default” – 4 steps. Win 10: Click Start button, click settings button, click Devices (not a button, more of a zone), scroll down right side till you see Devices and Printers, select Devices and Printers, right click the printer you want as the default and select “Set as default” – 7 steps. I wonder how many Win 10 users are unaware of what happens when they right click the start button. Some useful shortcuts there, although Control Panel is now gone and replaced with the brain dead “Settings” option. The only thing this interface guarantees are many more dumbed down configuration screens with options that only consultants will remember. Many clicks to get anything done in this winner of an OS. And I guess good visibility was an archaic concept as well. Now we have flat design, hairline low contrast borders, low contrast text on white backgrounds, no title shading, and many other trendy but useless “flair”. I’m actually relieved when I return to Win 7. I can say the same about Office 2003, which runs rings around 2007 and later in usability. any reactions after reading that ZDNet article? I saw that article as well and thought it was interesting that the topic was already under discussion here. Wow, never really thought I would see THAT headline on this site. Anyway, I would challenge the author to define just what “security” means. How do you explain the fact that Windows 10 routinely has more Critical security vulnerabilities than Windows 7 or 8.1? Are concerns about “securing” your privacy on the Windows 10 platform not considered a “security” issue? I won’t disagree that running an OS after it stops receiving security updates is probably a bad idea, but the notion that making the switch right now while it still is getting serviced, in the name of some non-defined notion of “security,” is absolutely terrible advice. I’m not switching until Steve Gibson says to. Does Patch Lady now work for Microsoft ? Does Noel Carboni now work for Adobe? Or might it be a perk for a useful unpaid beta tester… ? mhelbwig #324717 : She explained already, somewhere near the top of this thread ( #323990 ), that she did not write the title. Give the Lady a break. She does a stellar job keeping the Master Patch List up to date and informative, and me safe. No thanks! I like my PC to work as I want it to, thankyou. Just as I don’t want my toaster talking back to me, second-guessing me or whatever else, neither will I accept such from my, yes, MY PC. Win 7 isn’t going to just shut off and stop working (unless MS decides so, with an update, which I can block, lol), so there’s no rush for me. I’ll “upgrade” when something better comes out. Simple as that. I have waited for multiple reasons to make a new (now needed) build, the current one I made in 2012. The end of Windows 7 support next year seems the right time to do it and so to make the dreaded switch to the abomination that is Windows 10. Switching to Linux is not an option, and I’m not going to delay any more than I have. My question is in regards to the LTSC version, which I’m currently trying out on a virtual machine and of which I could easily buy a key. Are there any, real, concrete day-to-day downsides in using that version in a home environment? The LTSC version requires an Enterprise license. It is not single-user. Do you have that available to you? You mean other than having to buy an enterprise license of Win 10 to get it? Yes, I know, I can buy the license key on Amazon in my country for cheap and from the comments I can see that it works without problems. I myself do not have any Enterprise license. If you do not have an Enterprise license, then the license you buy is probably not legal. Amazon doesn’t sell illegal licenses but the third-party sellers on Amazon do sell illegal licenses (and for cheap), and the comments may lead you astray. Totally not legal. To get an enterprise license, you need an agreement with Microsoft, not a product key from Amazon. Yes, I figured it wasn’t legal for them to sell those licenses, but setting that issue aside, are there any downsides in using that version? I don’t have any experience with LTSC. As the buyer, you may set aside the seller’s burden to obey laws of commerce if you care to. And you really are a better authority than I am on your local laws and general practices. But I think it may be harder as a user, for you to set aside whether Microsoft will respect your right to operate an illegitimate installation of their product. I hope you receive the level of service appropriate to the price you paid. LTSC: What is it, and when should it be used? Funny that most of the reasons cited by Mr. Nottage for not using LTSC sound much like a wish list to me! Not having Cortana, Store, Edge, or new features is exactly what appeals about LTSC. Even if it means no new security features, it’s still no worse than Windows 8.1, which is the Windows I would be using post-7 if LTSC isn’t available (and it’s not). The same goes for the in-place upgrade. LTSC can’t be installed on Surface devices is the major blocking issue. This is an out and out lie by presenting a partial truth… you can choose what within their parameters. You cannot choose not to have information collected. Period. This is an out and out lie by presenting a partial truth… you can choose what within their parameters. You cannot choose not to have information collected Period. As purely an exercise, I decided to try and verify or not, both of those statements by clicking around the internet. I do not use Win7, I’m on W10 1803 and intend on staying there till I migrate. I am a killer of any part of my OS that phones home, also, I don’t care to be told “you can’t do that” on my machine. Against all the advice I have read here to not stop updates and telemetry, I climbed the telephone poles a cut all such wires leading to my computer (figuratively speaking). I know it can be a long fall from the pole, so I have full backups. But, I did it, success, no nagging updates, no telemetry. Please don’t cry Patch Lady! I read this: “Information taken from various places around the Internet including this Ask Woody comment” the link led me to post #21449 by @mrbrian back in Dec 2016. The subject matter is quite extensive and spans a lot of “edit” additional posts on same subject. It seems to me like @mrbrian managed to work his way around MS’s KB2952664, he shows the “how to” with or without that KB installed. Lots of reading about his solution and test results to stop telemetry in Win7 and 8.1, but apparently it can be done with caveats. Since I don’t have Win7, I didn’t look any further. At some point in the discussion Woody chimed in with: Absolutely. Great Knowledge Base material. This might be dependent on you having joined, “Windows Customer Experience Improvement Program”, not sure. Once support for Windows 7 ends, I will simply remove my Ethernet cable and solely use that PC as an offline tool. I use this Windows 7 computer to create Illustrations in Photoshop, I use a version that no longer needs to be updated and is stable enough to work for me over the years. I’m quite happy with the performance and the way it works currently on this OS, and I can still happily do that offline with no worries. If I need to upload my art online I can stick it on an external USB/drive then take it somewhere online, no problem. I can still also play offline games on this PC. That being said, for anything I DO need online such as online games and chatting to my friends on Discord, I may get a Windows 10 PC built or even set up a laptop so I can get used to the OS. But as of now, I’m content with Windows 7 and I’m lucky that I can get uses out of it without any outside connections in the future. After M$ has fixed the known issues in this update — KB4480970, and the Meltdown and Spectre issues (which can only be fixed properly in silicon), I will consider updating beyond December 2017. A relative of mine works in IT in one of our universities in Brisbane here. When I asked him a question about win 10 he said “we only use Linux at work” I cannot help you. He did say that a friend of his had only recently retired a win 98 computer due to a hardware failure I believe. Where I do some voluntary work, I am currently doing Image backups (with Macrium Reflect) of each computer to be kept off site. Daily data backups go off site each day. These computers are stable and have not been updated since December 2017. People equate getting updates with security, which is far from the truth. M$ updates are now full of serious bugs — alpha code — I am not sure where to go in the future but for now I will sit tight and see what happens — It is more secure that way. We have a joke around the office here.. “A non-functional computer is completely secure.” Sometimes, we’re so secure, no one can get any work done at all. Security, stability, and currency could easily fill out one of those Venn diagrams that never quite overlap in the center in any meaningful amount. The networking issue is a non issue. If you’ve installed ANY updates in several months and you hit this and needed to install a driver – you are fixed. If you saw no issue, you won’t see it now. Non genuine – only impacted KMS customers/enterprises. Fixed. Access 97 issues – still an issue being worked on but I’d argue that you need to really be concerned about having something on this old of a database. The people that know how to code/deal are probably getting older and harder to find as well. This should be a wakeup call that you have an old line of business application that needs to be looked at because it’s going to be harder and harder to deal with in the future. For now I’d uninstall the update and then sit down and consider options for this line of business app. The last one impacts virtual machines hosted on AMD and I only set up HyperV on Intel chips. So if you keep with solid hardware, you have less issues. Which one of these issues are you impacted by? There are several workarounds listed that may work for you? All we can get is 99.999% on any platform. The networking issue — why should I have to run around possibly 7 computers installing network drivers that are already there and are possibly going to be blown away by a MS update that is obviously broken — MS please fix. The Access issue — the software was custom written by my son and updated by him as needed. While he thinks that a rewrite is in order in the future, this is no small task. The problem lies with MS — they broke it not me. The alternatives offered by microsoft — like modifying the mdb database file — is fraught with danger as one could corrupt the information in it. It remains to be seen if MS will fix it or like the networking problem — just leave it. As you can see I am not very happy and with some justification. Actually, was just last month that we had a planning case where the optimal server hardware model (yes, HA features and extended service agreement too) would’ve had an AMD processor. Yes, heavy virtualization planned. Am I the only one that doesn’t see “the new AskWoody Plus Newsletter issue 16.5.0 – out this morning” anywhere?? I’m logged on, but it’s nowhere to be seen/read. Not via the top bar, not via Woody’s links…. Have you looked in your email In Box?I get mine as an email, in my email client running on my PC. And I already got this one, and a previous one as well. I don’t have it sent by mail. My mailbox is too crowded already! This week’s newsletter got published last night, but the link has only just been added to the Newsletter/Alerts page. The much ballyhooed “security” in WIndows-10 is relative. It is still vulnerable to the same “bad actors” as Windows-7. Maybe less so, but still vulnerable. Then, there remains the instability of Windows-10; in that any update you apply has the clear and present danger of either trashing/crashing your machine or functionality that used to work no longer works. This situation may be tolerable to business who can afford a full-time IT department just to “fix” problems, gamers and casual consumers. It is unacceptable to businesses without IT departments and serious consumers who have better things to do than to constantly “futz” with the OS to get it to work. So, until Windows-10 develops a good track record of updates actually fixing problems, instead of creating them, Windows-7 will remain very viable. Instead of “users getting over it,” perhaps it should be MS “you better get your act together, and get it together fast.” After all MS, you made the mess–now you fix it. As to fixing the mess you say MS created with W10, I would suggests this cannot occur while Satya Nadella remains the CEO of the company. I say this because if you dissect the root causes for all the myriad issues that commenters have described and complained about in respect to W10, they all seem to emanate from an overarching philosophy and attitude that Nadella added to the ethical equation that the company employs when dealing with customers. Think about it folks; did we ever see anything like the GWX campaign, WUDO and malware tactics employed to push and deceive Windows users under Steve Ballmer. Ballmer made many less than stellar decisions but to me the ethical tone was better under his leadership. I’m surprised Google hasn’t made Chrome OS or the guts of a Chromebook, downloadable as a Windows replacement. Jan. 2020 is a big opportunity for Google to break into the desktop/laptop OS marketplace. Why not take advantage of the disgust and user dissatisfaction that Win 10 has generated? I have one laptop, an HP Probook with Pre-GCN AMD Discrete mobile GPU! Its an Ivy Bridge mobile quad core i7 generation CPU based probook but Windows 10 is not very likely to support the AMD GPU because that’s now legacy hardware to AMD. And HP the laptop’s OEM has not had a graphics driver update issued from the laptop’s support website for years. The laptop came with a windows 8 Pro sticker/license on the laptop but the Laptop had its Windows 7 Pro Downgrade rights applied at the factory as many business grade laptops had at that time because windows 8 was, and still is, a not very popular MS OS Version. That laptop came with 2 sets of full recovery DVDs one for Windows 7 Pro and One with windows 8 Pro. So come January 2020 the windows 8 DVD with the proper AMD drivers for the Discrete Mobile laptop GPU is getting installed and upgraded in place to windows 8.1 so the laptop is good until 2023 with some third party turn TIFKAM ->OFF<- software installed to make the OS/UI look and act more like windows 7 pro. The remainder of my 3 older laptops are getting some Linux OS distro if I can not obtain an OEM copy of windows 8.1 to slap on them that works. I do not plan to ever have to use windows 10 and will be searching for Linux OEM laptop options if the 3 older laptops ever breakdown and can not be repaired. So that newest HP Probook has Windows 8 Pro License rights and windows 8.1 Pro upgrade rights by default after MS depreciated windows 8 in favor of windows 8.1. So I’m good for security updates until 2023. I’ll be post windows on my older laptops mostly if I can not find any Windows 8.1 OEM copies for purchase but I’m more than likely only going to do that for My Samsung Series 3 laptop that comes with a quad core Sandy Bridge quad core i7, the Sandy bridge Dual core i5 laprop is getting Linux and the first generation core i3 Dual core laptop will get Linux also. My 2 newest laptops, both that have Quad Core Mobile Laptop i7 CPU variants, have plenty of computing power, even more than most of Intel’s Ultrabook core i7 series SKUs that came after The Ivy Bridge generation of laptops. So they will handle the windows 8.1 bloat better than the older Dual core laptops. I’m dead serious about avoiding Windows 10 and ever since windows 8 appeared my yearly new Laptop upgrades have stopped. The only reason I purchased that Intel Ivy Bridge core i7 series HP probook with the AMD discrete Mobile GPU was the Windows 8 Pro downgrade rights to Windows 7 Pro that HP did at the factory for the probook. I’ll only look at Linux based laptops after 2020 unless there are some windows 8.1 Pro laptops still in the channels either new or used. I’d gladly Pay for the extended Windows 7 Pro security updates until 2023 but I’m not a Volume/Enterprise license customer so I can not take that option. As far as new laptops are concerned it looks like Linux for me after 2020, or even Apple, if I need something to safely get online with if the Older laptops ever breakdown and can not be affordably repaired. The Windows 10 Based Laptop OEM’s are in for some revenue issues come 2020 if they expect that folks will give in to Microsoft’s windows 10 business model. There are plenty of non windows 10 OS based devices out there to consider come windows 7’s EOL and still plenty of used laptops that are running windows 8.1 with some third party software to turn all that TIFKAM nonsense off and make 8.1’s UI look and act more like windows 7. I’m one of those who does not wish to move to Win-10. I’d like to see a newsletter article or two (or three) in the coming months on alternate ways to proceed after January 2020, what is involved in following each of those paths, and how secure (or not) each may be. I guess I see three possible paths, though not all will be available to everyone. First is sticking with Win-7 but having some amount of security updates. Some of us kept Win-XP going beyond EOL by using a trick to get Windows Update to think that our PCs were running Windows Embedded POSReady 2009 (which is still under support until this April!). That OS only had a subset of Win-XP features, so probably not everything was getting patched. But it offered more protection than doing nothing. I want to know if a similar trick will work with Windows Embedded POSReady 7 that can give us Win-7 users more protection (until October 2021) than doing nothing. Not a great long-term solution, but it may be a solution. Second is moving up to Win-8.1 for those of us who bought PCs with a Win-8.1 license but Win-7 preinstalled. I’ve heard rumors that updating from Win-7 to Win-8 would not involve a full reinstall, but that updating from Win-7 to Win-8.1 does. Again, it would be nice to know what’s involved and, particularly here, what additional software or tweaks one might need to get it to look and act as closely to Win-7 as possible. Again, not a super long-term solution (only until January 2023), but it may be a solution for those with a valid Win-8.1 license. Third is moving to a different operating system entirely, likely a Linux variety. Such an article would likely require much more information — or multiple articles — since many of us do not know much at all about Linux, and wonder if software we’re used to having in the Windows world will be available (or have something comparable available) in the Linux world. Linux is mentioned quite often among viewers of this site, so I’m sure that a lot of folks would be interested in knowing more about it before taking the plunge (and can you still “test drive” it via a Live CD or the 2019 version thereof?). Certainly by later this Summer many of us individual consumers are going to have to be thinking more aggressively about the direction we want to go, and for those of us who just do not want to go to Win-10, we’d love some advice from the experts here about some of these other options. Thanks, Susan and Woody — and others — for your expertise and your labor of love back on Windows Secrets and here on AskWoody. Just read Susan Bradley’s piece in the brand-new Win Secrets Newsletter which came out today. She has really turned into an apologist for M$! This makes me suspicious of *anything* I read on this website now. No I just cringe when I see folks say “I will run Windows 7 even without updates”. I am certified in security, and I cannot sit by and say “oh sure, run it” I have to make the case that when it comes to it’s end of life, we have to let the operating system go. If you want to use it without being on the Internet, please do so. But please, think carefully about running it forever. Move to Linux. Please. Just don’t be doing online banking or anything financial on a platform that won’t get updates. Windows 7 is not going to be run totally without updates. It will be run patched up to that time when Microsoft drops the support for the OS. Any vulnerability after that point will be assessed and weight by the user against the likelihood of that vulnerability impacting them. I hope that this site will continue to be a source of intelligence on such vulnerabilities. Currently I have no problem with using my Windows 7 Computer for banking or other things after patching by Microsoft ends. The way a system is used and the environment in which it has to operate are still within the realms of experienced and well informed users to weigh. Unknown threads effect all OS equally no matter how well patched. Upgrade options are very limited. This is not an upgrade of Windows 98 to XP or Vista to Windows 7. Windows 10 as an OS is not at fault here. The problem is the way Microsoft has changed the ownership of how to use Windows 10. Microsoft has claimed the right to dictate how to update Windows 10. Microsoft has claimed the right to listen in on what users do with Windows 10. Such behavior is not something any serious user can accept. There is a name for software that acts in this manner. It is called ransomware. Calling it spyware does not fully do it justice. I paid serious money for my OS licenses. And I am willing to continue pay serious money for my OS. But the company that makes that OS needs to take me the end user serious as well. My form of currency paid for the OS usage will not be information on what is done to it or how it is used. That is a form of currency that I will never willingly pay. Absolute power corrupts absolutely. At least let folks know that Enterprise/Volume licensees can purchase extended windows 7 security updates until 2023 and not have to worry about Windows 10’s Mad Dash update cadence and eternal windows 10 BETA edition status. And Microsoft’s marketing is doubling down on these friendly press “Articles” that are more scare tactic than reality based. Once again I’ll bring up the often omitted cost for enterpriese/SMBs of having their mission critical custom software Vetted/Certified to run on a new OS/OS version without error and without any downtime(Cost Money $$$$) as much as possible. And that’s no small cost considering how many enterprises/SMBs/Goververnment departments around the world opted for Extended Windows XP support and will now do the Very Same for Windows 7! And that Extended suppport option for enterprises/volume licensees for windows 7 is a small price to pay relative to the total costs for an enterprise/SMB to vett/certify thier custom mission critical software on any new OS/OS version. Those businesses that have reciently switched from XP to 7 in the last 5-7 years will still need more years to properly amortize all the costs related to vetting/certifing their mission critical software for windows 7, and they will gladly pay for extended windows 7 security patches until 2023! And Thus, Windows 7 becomes the new windows XP! Windows 10’s innards are such a moving target with that update cadence that is right out of it’s a mad mad mad mad world and how can any business keep up with the Vetting/Certification process on that crazy update cadence random two-step that is Windows 10. The utter arrogance of the folks from Redmond and that De Facto public utility that is represented by the Windows OS and its Software ecosystem over the years and the billions it costs all of the Windows OS end users to keep any software, mission critcal custom software or not, cerified/vetted to work with any new Microsoft OS, especially that crazy windows 10 and its eternal OS/Software Ecosystem BETA state. Susan, what do you think of Matthew’s suggestion as an alternative, namely “moving up to Win-8.1 for those of us who bought PCs with a Win-8.1 license but Win-7 preinstalled?” Thus obtaining extended support for 3 more years after 7’s extended support ends? Thanks. Susan, what do you think of Matthew’s (and others’) suggestion as an alternative, namely “moving up to Win-8.1 for those of us who bought PCs with a Win-8.1 license but Win-7 preinstalled?” Thus obtaining extended support for 3 more years after 7’s extended support ends? Thanks, Rick. Just don’t be doing online banking or anything financial on a platform that won’t get updates. I don’t and will not do online banking. It is far too dangerous and any amount of security updates on any computer will not make it safe. How do you know that M$ is not harvesting your bank account details along with all the telemetry being collected by them — you don’t — I don’t — but I am not wiling to take the chance. I bank at the bank!!!! What hope do we have at preventing our computers from being entered, information harvested, and then they are gone without us even knowing. The computers at the Australian Parliament House was hacked this past week. They spend millions on security and cannot stop it. What hope do we have except to keep our banking off line — I do. Well, to start with, because I know people that work at Microsoft and while yes the Company’s actions can often drive us to drink, it’s not the intent by the software to read bank account numbers. I also trust that if any large company did nefarious things that either businesses and governments will investigate (anti trusts case against Microsoft or the recent EU privacy laws) or employees will be whistle blowers. I honestly do look at the telemetry data that goes out of my machines. https://docs.microsoft.com/en-us/windows/privacy/diagnostic-data-viewer-overview I have used wireshark to review transmissions. I don’t save credit card numbers in any browser. The SSL handshake means that Microsoft would have to have the private certificate given to my bank (or whatever web site that hands off the transaction). Finally, I have a single license of a Windows E5 with Windows defender ATP that lets me also see what is going on and bank account numbers are not transmitted. So I honestly do verify and check what is going on with computers under my control. Walk into a bank (a large enterprise) and they will be doing online banking on a Windows 7 machine hopefully getting patched after January of 2020. You may not be doing online banking, but they are. I remember walking into several banks during the post XP patching era who were using Windows XP (again hopefully getting patched) and any ATM you walk by is often running older versions of Windows. Microsoft only needs diagnostic data from a small amount of devices to make big improvements to the Windows operating system and ultimately, your experience. OK then, so if they only need data from a “small amount” of devices, why do they insist on vacuuming up data from the hundreds of millions of Windows 10 users? It sounds like all they need is something like the old Customer Experience Improvement Program, where some users would volunteer to be monitored; if that wasn’t providing a large enough sample, there are all sorts of ways to encourage it in ways that keep the data collection fully voluntary without resorting to the EULA “our way or the highway” approach… and meanwhile avoiding a heck of a lot of controversy. 2. Do we know that “diagnostic” data of the type discussed in that article is the ONLY type of data that’s sent regularly to Microsoft from Windows 10 computers? If MS wanted any chance at me being willing to give them diagnostic data, that went right out the window at the moment they fired the professional testers. I may be willing to help with the testing effort, but I am certainly not willing to be the testing effort for a product I pay for. The same can be said of trying to force me to give them that data against my will. Ask for it and you may get it, but try to take it without my consent and I will do everything in my power to prevent you from ever having that data. The same can be said of trying to force me to give them that data against my will. Ask for it and you may get it, but try to take it without my consent and I will do everything in my power to prevent you from ever having that data. Everyone is asked for consent to telemetry when they first use Windows 10. Which is why a lot of us aren’t using W10, and won’t be migrating to it when Windows 7 reaches end of life… ? And you may be fully aware of what the EULA says, but when I showed friends and family that had been downgraded to W10 by GWX, and they understood it… well, they jumped ship, too… feeling ripped off and betrayed… and I think those feelings will be intensifying as we get closer and closer to Windows 7 EOL. The fact that people don’t understand and cannot give informed consent is despicable… and Microsoft saying they are giving control to end users by a multitude of settings designed to confuse, not enlighten, and that have no ‘OFF’ completely option… and that Microsoft’s attempt to ‘show’ what is being sent doesn’t clarify anything… and that even Enterprise versions configured for HIPPA have only low or near zero reveal of HIPPA data, means that all the talk about privacy is one big shell game… (that information is from their own White Paper on HIPPA). Telemetry is not a four-letter word. Ed’s article makes several good points. But even he says “If you’re concerned about private documents accidentally leaving your network, you might want to turn the telemetry setting down.” And for good reason. I don’t have a telemetry tin foil hat. (I use a Chromebook, fer heaven’s sake.) But the fact remains that we don’t know what’s being collected or how it’s being used. That’s true of Microsoft, and Google and Apple and Facebook and every company out there. And it’s getting worse, especially in the US. If you don’t use the online banking features your bank offers, it doesn’t mean someone else pretending to be you won’t. I think you’d be more likely to discover that someone was doing that if they were trying to break into your already-existing online account than if you were completely unaware of everything. Being able to get your bank statement up to the minute at any time will allow you a lot more chances to spot something fishy than getting it once a month in the mail. In order for the “I don’t do online banking” thing to offer you any protection at all, you’d have to have a bank that doesn’t offer any online banking services to anyone– and I don’t think you will find one like that. Someone who doesn’t use online banking can’t get their username/password phished via email. I have two DIY desktops (one serves as a NAS with 4 HDD’s in RAID 10 and OS on SSD) and a laptop on Windows 10 1809. My main desktop and my laptop both dual boot Windows 10. My son has two laptops on Windows 10 1709. That’s 7 installations of Windows 10. I have a Microsoft Lumia 950 running Windows 10 1709. I have 5 installations of Office 365. Of all the problems annotated in this thread, I have had absolutely zero. My son uses the Start Screen, I use StartIsBack++ on all my Windows 10 PC installations. It’s like Windows 7, only much faster and more stable. Create a fresh drive image before making system changes, in case you need to start over! I use StartIsBack++ on all my Windows 10 PC installations. It’s like Windows 7, only much faster and more stable. I’ve seen people write this a number of times, but for those of us who dislike 10 but like 7, it’s not all about the tiled start menu. I had Classic Shell on the Windows 7 installation I first experienced Windows 10 on, as an upgrade, and I rejected that and rolled back to 7 in under an hour, even without ever having to see the tiled start menu. As for the reliability and speed… 10 felt very much the same in performance as 7, though I must admit to having only used 10 for as little time as possible. If there was any speed difference, it was subtle enough for me to have missed it. I know that some have suggested that Windows 7 installations, being older than Windows 10 installations, may be suffering from Windows rot, which is something I’ve never actually seen on my own machines. I’ve certainly de-gummed a number of other people’s machines with all flavors of Windows, but I don’t know whether they got that way slowly over time or if it was a catastrophic event of some kind. That could account for why 10 feels faster to some, but not others. I really can’t say. Reliability-wise, I couldn’t ask for better than 7. I never had a crash with it that I didn’t cause, or that wasn’t the result of a third-party driver or such (that would have affected 10 the same way, surely). It was simply boring in its reliability, never giving me any issues outside of overclocking (where crashing is inevitable and expected until you get it all set up) and faulty third-party drivers. I never had any such problem with 10 either, though again I have not used it much. My reasons for disliking it aren’t for its speed or reliability, or supposed lack thereof. It’s about the ugly half and half UI in part, but more so about the lack of control, with updates and other things. Windows 7-style control over updates, it turns out, is the one “killer” feature I won’t live without! Telling us Windows 7 users to “get over it” and “move to Windows 10” now? If this was not coming from you I would say this sound very much like a Microsoft propaganda, Susan. I can understand your position, but in my position I don’t agree. I am one of those you called “I will run Windows 7 even without updates”. While I will shift to Windows 8.1 later, I will still keep Windows 7 on every one of my Windows computers to run if necessary. Watching the Windows 10 fiasco unfold during these years I am convinced that the threats coming from Microsoft updates are currently much greater than the security risks coming from lack of updates. For an example just look at the initial release of 1809. Your argument about eventual stopping of updates of essential applications like Firefox after the end of support of Windows 7 is better and in fact I believe this will be what eventually persuade users to migrate from Windows 7, whether to Windows 10 or another platform. Personally I will stay with Windows 7 and Windows 8.1 for as long as possible, even without security updates. If I were forced to use Windows 10 in the future, LTSB/LTSC is the only version I would consider. That’s precisely what the title of the entry was supposed to do — make you think about it. Win7 users have some tough choices ahead. The natural reaction is to tuck your head under the covers and hope that the problems go away. They won’t. If you can disconnect your Win7 PC from the internet after January 2020, you’re OK. If your company buys extended support, you’re OK. But the rest of us are treading on very thin ice. Why? Because there will be hundreds of millions of PCs still running win7 in February 2020. That’s a huge target for miscreants. And indeed it did. My initial reaction was “What? ?” Followed by, “Interesting food for thought, but I’ll likely still be with Win 7 at least somewhat after EOL.” Followed by “People who felt offended by the title need to lighten up a little” (which does *not* mean they have to agree with Susan, at all). Demanding security & privacy by self-adjusted defense-mechanism (aka no patching by self-managed) or the polar opposite of patching for more security (aka you trust them to have your backend covered as they said to have ‘promised’ you) in our current world structure, that is both from the east to the west – may I humbly suggest – is a none issue. Period! Want your security & privacy? Change THEIR world!!! or perhaps the REAL reality is as Woody’s ‘fearless’ editor titled – Get Over IT! “Patch Lady: Still on Win7? Get over it…” is not the kind of advice, and certainly not the tone, that I come to AskWoody for. Even though preceded by “Patch Lady:” Susan says that she did not write the headline. So it appears that Woody did. Shame on you! I will never install Windows 10 on any of my PCs for the various reasons that have been discussed here. As FakeNinja said, Windows 10 has privacy and control implications, which, to me, are just as dangerous as continuing to use an unpatched Windows 7. This blog has always been tolerant of user choice. I hope this is not an indication of a change in direction. and if s*** happen – well, it happens – WELCOME TO EARTH/reality! Woody didn’t write it either. Our fearless editor who goal it is to ensure things get read obviously made sure this got read. I do want people to just take the time to think very carefully about using -any- platform after you stop getting updates. I am of the opinion that even on Windows 10 pro that updates come on the schedule I want, that the telemetry is providing them information about when updates go bad, not my personal data. I’m not letting my Dad surf on a Windows 7 machine after January 2020. That’s my bottom line. What do you expect the Patch Lady to say on a public forum? Don’t patch?! Some of us just know we aint got time (left on earth) for the (1984-style-op) fuss. We’re all about discussing the options and making informed choices. We’re highly tolerant of user choice. There are lots of options – including sticking with Win7 after it hits the big stop button. People need to know what they can do and understand the ramifications. Here on AskWoody we’ll be supporting Win7 till the cows come home. Count on it. But we can’t protect your individual system. My employer (a state entity) will probably buy the 3 year service plan for all of their Win7s. For me personally, once end of life comes, my Win7 will replace my XP for writing (making sure I disconnect the internet from it) and I’ll switch over to a Mac for day-to-day stuff. I need to put this out there. For years I’ve been using VMs for anything internet and all physical boxes are blocked at the firewall, except for an old XP system that strictly used to play (old) BF2. While I use a WX box as my main system (more like a terminal) it’s more eye candy than anything and it’s also blocked, and has never been updated. Anyone who values the longevity of their system(s) should invest in some stateful backup software (Acronis is my go to-to (2011 version)) and think about virtualizing their systems. VMware is a great investment though adding extra RAM and running VMs on SSDs (if running multiple systems) is prudent. Just dropping in (without reading the discussion) to say not happening, regarding switching to 10. Give me a Windows where I’m in control again, even more than currently on 7, but like I used to be, before they changed the update model to no longer have each one separately and introduced added “telemetry” and what not among updates, and which won’t keep changing the way 10 does, and sure, I’ll switch. But otherwise, again, not happening. In fact mulling over getting 8.1 next year for 3 more years of somewhat less awful computing, even if obviously way worse than on 7, even with a 3rd party start menu. But also a chance I may just keep using 7 and so be it. Of course, the long term plan is Linux, but when they’ll have a Linux meant for someone who basically wants a Windows without the bundled or forced updates and constant changes and snooping, and with proper application-level firewalls, not getting told they’re not needed when asking. Until and unless that happens, gah! Just wondering – given the fact that we pre-pay for support (the initial license cost), how long should Microsoft provide patches for any of its operating systems? For those who believe that Windows 7 should be supported beyond January, 2020, what sort of changes to their business model do you propose to make that a viable option? How much would you pay for perpetual support? I’d be willing to buy an operating system that could be configured to meet my needs and stay that way. With Microsoft promoting Malware as a service, it isn’t likely to be them. I find their ethical base to be equivalent to malware producers, just on a larger, more successful scale. Privacy is a must. Security is a must. Stability is a must. New features are not a must. VMware makes security a non-issue, provided your data is backed up and a snapshot is taken of the current “state” – usually best before and after any software changes are made (the “before” snapshot can be deleted after everything checks out nominally). It’s ironic that M$ is charging more for three years of support than the initial cost of the license. Snapshots and backups are great. Required even. But the word you mean is these solutions fix recovery after a discovered problem. Security is a matter of making sure your state secrets, or mother-in-law’s prize cobbler recipe, is not copied off of your hardware without your knowledge. This is not fixed with a recovery routine. Assuming someone risks exposing a system with valuable data to the internet in the first place? Yes, but then it is the isolation that gives security, not the recovery tools. When your installation is completely isolated failure can only come from within. That is not a security issue. Around here, the official paperwork defines “information security” as BOTH “information and processing is available for those who need it and are authorized for it, when they need it (for constant access) or at least according to a predefined procedure (for non-constant access)” AND “information and processing is not available for those who are not authorized for it”. Yes, that would mean backup, restore and recovery would be included in the definition of information security. Backup has nothing to do with authorized access. The point is, around here, the laws and regulations lump them together. Woody didn’t write it either. Our fearless editor who goal it is to ensure things get read obviously made sure this got read. I would argue that telling people to “get over it” right in the title is a good way to get people to not take you seriously. You’re trying to polarize the issue right out of the gate which usually causes people to cling even tighter to their current views and get defensive. Trying to strong-arm people in “click baity” fashion like this is not a productive way to start a discussion or to reach the people you’re trying to reach. As a matter of fact, it is the antithesis of that. Are we really moving back to trying to bully Windows 7 users into doing something they don’t want to do based on the information in front of them? We’ve had enough of that from MS; we don’t need it here on AW as well. With telemetry, if they really were using information to improve updates, Windows 10 would have left Windows 7 in the dust a long time ago. I don’t believe for a second that’s what the information is being used for and if it is, they’re not doing it right. What do you think the information is being used for then? You really think Microsoft’s marketing dept is that smart? Sounds like a conspiracy theory with zero evidence to me. Smart enough to pull it off? Unknown. “Smart” enough to try it? Certainly. We’ve seen lots of spying from the likes of Facebook, Google, and others, and we know that monetization of that data is their source of income, and they have a lot of income. We also know MS has said point-blank that they will be monetizing Windows, and that they’re slurping up data too. If it acts like a duck and quacks like a duck, it might actually be a duck. While personally I think that so far, the data MS has collected is for what they claim it is, it’s certainly not outside of the realm of reason for people to conclude that the duck they see in MS is much the same as the ducks in Facebook and Google. if Microsoft plans to regain the trust they had, they will have to become more flexible or at least give enough time to properly test what it offer. otherwise we will have people that will insist in having Windows 7 without updates. Why will it be “unsafe”? I have two desktop computers. One runs Windows 10.1709 Pro and it is a mess…up to date but a mess because it is Windows 10. My older computer runs 8.0 Pro. It is a million times better computer…faster, extremely stable, etc. Both computers are Dell XPSes…one the 8500 and newer one the 8930. Both have an SSD for the C drive, same amount of RAM, etc….almost identical except for the OSes and a much larger SSD on the newer machine. I’ve had the 8930 for a little over a year now and it seems all I do is fix a problem with it. It is unstable, sluggish, takes TWICE as long to start up as does the one running 8.0. Both have nVidia cards and the newer machine should be at least as fast and stable as the older machine and should be better because the video card is newer and has a lot more video RAM. Note that I never upgraded the 8.0 Pro machine to 8.1 as I knew how bad a mistake that would be for several reasons. Microsoft ignored 8.0 in regards to trying to force Windows 10 on a machine and that was a blessing! I did hate Windows 8 until I got Start 8 and Windowblinds and then I really enjoyed and still enjoy Windows 8. I have NEVER enjoyed or even mildly liked Windows 10. Had I known how HORRIFIC Windows 10 is I would not have bought an expensive computer with it on it. The 8930 is end of the line of Windows and Dell machines that I have purchased for twenty years (unless Microsoft changes Windows 10 radically in the next four years). So, if I were you, I would stay on Windows 7. I would NOT do banking on it though after it cannot receive updates. I have my first Smart Phone that I got at Christmas and it is an iPhone Xr (which I LOVE). The banking apps are outstanding so I do all my banking now on the phone. I did not need a Windows 10 computer. I could have saved all that money and eventually got a gorgeous iMac once my Windows 8 computer dies. The ONLY thing I like about Windows 10 is that I can run Dell Mobile Connect on it. I have NEVER upgraded any computer from the OS that came on it and that includes NEVER upgrading to a new Service Pack. I have used my computers years beyond the end of Microsoft support. I’ve never had a virus and I run as Admin and always have. If you are a reckless user without a brain then, by all means, be scared and get rid of Windows 7. But I think most folks here are smart enough to avoid getting viruses, etc if they stay with unsupported versions of Windows. the privacy issue (or lack thereof) is my biggest concern with WinX. Edit: Please refer to General Rules regarding politics whether known or not. But @woody, if the intent is to get people to think about it, telling them to “get over it” hardly seems the best way to accomplish that. If the idea is to get others to “think about it,” how about saying “think about it” in the headline instead of “get over it”? The latter is more like fighting words aimed at ending a discussion, not at promoting a discussion. On this website, even a cursory reading will demonstrate that there is no shortage of thinking about the impending end of support for Windows 7. (Sometimes it feels like that’s ALL we do here.) Knowing this, it’s difficult to interpret a headline telling people to “get over” Windows 7 as constructive. It will be Microsoft’s cloud security that will have to protect the data and the communications that it controls under WaaS. When you migrate to W10 you are moving to Microsoft’s cloud and trusting them to secure it. The enterprise can decide on whether they want a private, public or hybrid cloud for their processing needs. Most enterprises will have a combination of these cloud services and it is more than likely that their most sensitive processing and data storage will be managed in a private cloud. So this is where the security discussion needs to be be focused. – The question in 2020 changes to: Is a user’s data and communications more secure in the cloud. If the Microsoft cloud gets hacked to the degree that user data is exploited and/or restoration of ‘good’ data is not possible after the hack, what then? A user can not run W10 outside the cloud. A user can not run W10 outside the cloud. If you mean that Windows 10 can’t be used without an internet connection and/or that data can’t be saved locally, then you’re very wrong. I was just getting to terms with Windows 10, when I read the Traking & Cookies in Windows 10 threat. And after going through the links Rick Corbett provided in #326074 I became utterly depressed. Am I willing to go a Group B kind of track for Win10 the coming years(?) just like I do with Win7? Do I want to invest so much time in tweaking Win10, being alert on possible pushed ‘upgrades’ and messing with registry and gpedit settings etc.? Actually, NO. Does this mean I might just have to switch to Mint after all? Maybe. Which applies equally to Windows 7/8, and doesn’t send anything to Microsoft. It’s not just Windows 10 that tracks your activity. The “depressing” post(s) you linked to (folder usage info) weren’t specifically about Windows 10. Group B kind of track for Win10 the coming years(?) just like I do with Win7? Ain’t gonna happen. MS doesn’t provide security-only updates for Win10, so there is no Group B – and no potential for a Group B.
I know, I just used ‘Group B’ as a symbol for having to do a lot of things extra. MS apparently backported Win 10 telemetry to 7/8.x to assist diagnostics (after getting rid of its in-house test teams) but I suspect it’s the old ‘law of diminishing returns’ when it comes to monetizing Windows users. You can shut off (most?) the telemetry that was backported into Win 7. Go to Task Scheduler: Task Scheduler Library > Microsoft > Windows > Application Experience and Customer Experience Improvement Program folders. Disable all tasks in those two folders. Warning: Re-check the above occasionally. Sometime before Nov. 2018, one of the Win 7 updates re-activated the tasks in the Application Experience folder, even though I turned them off in 2015. Last Nov. 2018, I checked this folder and noticed these telemetry bots were live (Microsoft Compatibility Appraiser, ProgramDataUpdater). In Windows Services, disable the ‘Diagnostics Tracking Service’. @abbodi86 had done some in depth work on this last autumn. Read more in his presentation at 2000012: Neutralize Telemetry & Sustain Win 7, 8.1 Monthly Rollup Model. In the next months Microsoft will probably have all hands on deck concentrating on putting road blocks up and other things to force W7 users to switch. In the mean time they will be neglecting to service W10. I have no intention of denigrating your concerns (I share many of them) but, perhaps, seek to address them? IMO Win 10 is still very customisable… albeit slightly less so than previous versions. Here at AskWoody is an eminently suitable venue to ask ‘how to tweak’ *any* version of Windows (not just Win 10) to YOUR own preferences… and how to persist YOUR preferences after any ‘Feature update’. As for investing time… just a thought but perhaps do what I do and steal (with their blessing) from others who have made the journey before you? As for Linux Mint? IMO it’s fairly simple and very speedy on the same hardware platform that I’ve tested Win 7 Pro on) … and I love it! However, it doesn’t yet offer me the same granularity of easy tweaking/micro management that I still enjoy with Windows and I recognise that it’s not going to suit all… but this won’t stop me discussing it. What have ayou got to lose? Yes, one of the drawbacks of Windows 10 is that you can no longer natively select a theme featuring translucent window title bars, as in Vista and 7. I just found this theme for Windows 10 that may restore some of that functionality without jumping through a lot of hoops. Has anybody tried it out? There is no way to get to Ms. Bradley’s Feb. 11 article. I am a logged in paying member, but all one gets following the links is a note to become a patron. Try the Newsletter/Alert link at the top of the page… hope it is working for you now. 2 – 3rd item in is ‘Newsletter/Alerts’; click on it. 3 – “Issue 16.5.0 – 2019-2-11 … Where we’re headed with Windows Secrets”; click. 99 – (Edit) Elly beat me to it while I was typing.